Ravi Bhalla, Hoboken Mayor Funding for the arts, new dog parks & more! We are hard at work in City Hall continuing our progress over the past several months. I’m pleased to share with you a few important updates! Last week, I joined the arts community to announce a major policy initiative that will dedicate a steady stream of funding for public art in Hoboken. I signed an executive order that will ensure all future city bond ordinances include a provision dedicating one percent towards public artwork. Art is a critical part of improving the quality of life for residents of all ages, and I’m committed to lending a hand to our wonderful local arts community and beautifying our City. Thank you also to the 150 people who came out to our inaugural Waterfront Arts Gala, which raised over $15,000 for our Cultural Affairs Department! This was a wonderful event which showcased our many local artists, and is a event I intend to bring back next year. In case you missed it, the City recently passed legislation that substantially increases fines of up to $2,000 for owners who do not clean up after their dogs. Let’s face it – it’s not pretty – dog waste is a major quality of life issue in our City. I am hopeful that this increased penalty will lead to fewer instances of it on our sidewalks. In addition, the City is examining other methods to mitigate the dog waste issue including additional bag stands, increased enforcement, and partnerships with various organizations who have approached my office in an effort to help. If you have any suggestions, please feel free to reach out to my office. Additionally, I’m happy to let you know we’ll be soon adding two brand new dog parks to both ends of Hoboken! 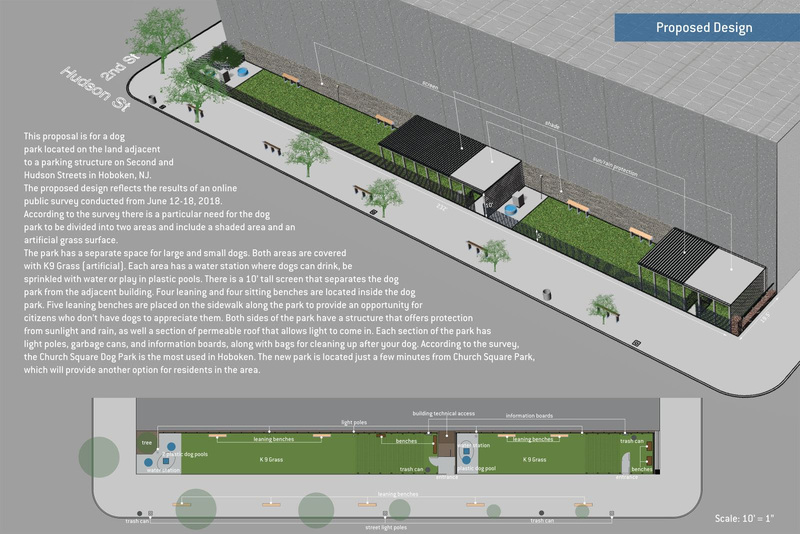 My administration put forward two design proposals for dog parks located at 2nd and Hudson Street, and a temporary dog park at Harborside Park (15th and Garden), and both will be built out soon. The two dog parks will be great additions to our City and will also help prevent unwanted dog waste. As promised, my administration recently opened an office of constituent affairs in City Hall. Improving communication and timely results on important quality of life issues is a major priority of mine, and this new office will be dedicated to issues both big and small. Caroline Caulfield, a Hoboken native and former staffer for Senator Cory Booker will serve as our new Chief of Constituent Affairs. You can reach her at ccaulfield@hobokennj.gov or at 201-420-2000, ext. 0311. I also want to invite you to my next open office hours, taking place on Thursday, July 19 from 6-8 p.m. in the Large Programming Room on the lower level of the Hoboken Public Library (500 Park Ave). This is a great way to speak directly with residents who would like to chat about any City issue. I intend to make open office hours a regular occurrence in locations across Hoboken in the coming months. 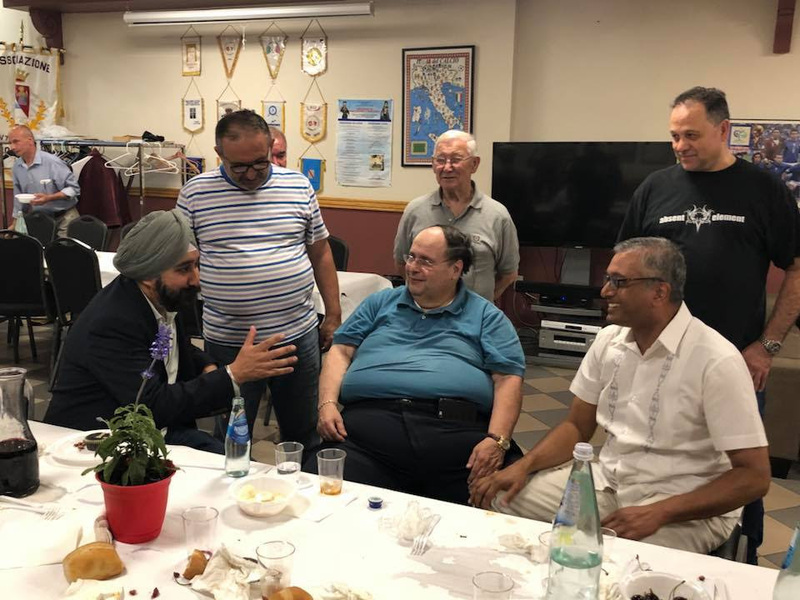 Last week, it was a real honor and a joy to help bring together the Italian and Muslim communities in Hoboken for an Iftar Dinner hosted by the Monte San Giacamo Italian Club on Adams Street. The Muslim community approached me recently about hosting an Iftar Dinner. What eventually resulted was the Monte San Giacamo Club agreeing to host an Iftar Dinner consisting of delicious Italian food! The MSG Club was also very respectful to take the time to serve halal meat in the Islamic tradition, and we also heard some remarks from a leader in the Muslim community about the meaning of Ramadan and the tenets of Islam. The dinner was a wonderful cross-cultural experience and made me so proud to be from Hoboken. I hope to build an even larger dinner next year! As always, please don’t hesitate to reach out to me if you have any questions or comments. PS – Have you taken advantage of our cultural affairs activities for the summer months? Check out our movies under the stars, expanded fitness opportunities in six parks, summer concerts, and more by clicking here.